Chock full of tips and techniques on improving performance, achieving your goals, getting balance in your life, Life Coaching for Dummies will help you get your priorities straight, be more productive and get more of what you want out of your life. As the pressures of modern life increase, balancing a career, a family, a social life and finances have become more challenging - there seems to be less time to sit back and reflect on where our lives are going. Life coaching is a cutting edge method we can all use to tweak our lives to maake them run better. Whether you're interested in self-coaching or working with a professional coach, this guide debunks the myths behind life coaching and gives expert advice on how to incorporate it into your daily routine. Life coaching uses a range of practical, effective and purposeful techniques to help you challenge negative beliefs, find answers to your own questions and create the life you want. ©2010 John Wiley & Sons, Ltd. (P)2012 John Wiley & Sons, Ltd.
loved the narrator - i managed to take in the whole book without fakking asleep or losing focus. Enjoyed this book - to the point - positive and made things seem achievable - induced clarity. Book is filled with positive, workable options that you can begin to incorporate immediately. Well done! Simple easy to follow. Really liked the last chapter- questions to ask yourself and tips. If learning about yourself is your goal, this book is a good start to self development. A lot of good info. Very good flow. Loved every minute of it. Great book. loved this audio book. so easy to understand. loved the tips she gave. Easy things to make life easier. would listen to it again. Really useful, key technics that get you thinking and create drive, motivation and inspiration. 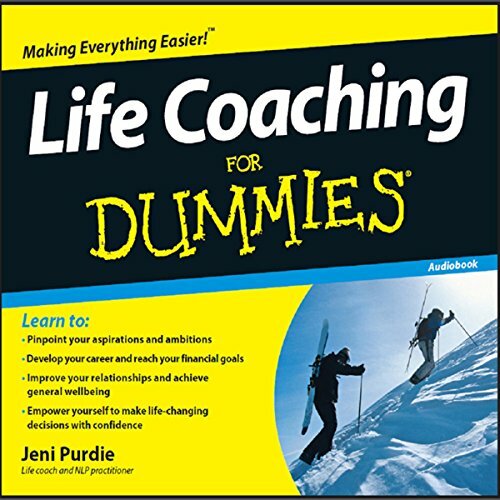 Highly recommend for getting started with life coaching. Will be listening to this over again and will buy the book for the tips and visual aspect. better than most coaching books I've read. Give good insight to what coaching truly is. Very good book for whatever reason you are reading it helped me to stop and make that change.